﻿ Download/Read "The English Hungarian Joke Book" by Jeremy Taylor for FREE! 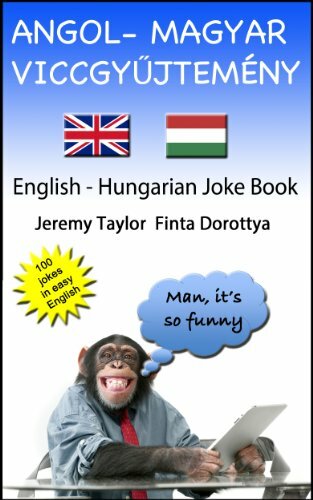 The English Hungarian Joke Book is a collection of 100 jokes in very easy English with Hungarian translations and there is also some vocabulary to help Hungarian readers. 100 jokes for only $2.­99! That's less than 3 cents a joke! It's not only educational - it's a lot of fun as well! Some of the jokes are a little risqué but anyone over the age of 16 shouldn't blush while reading it.